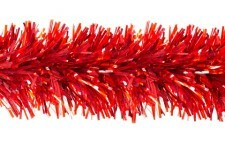 Add a touch of dazzle with this Red garland to accent your decorating needs. 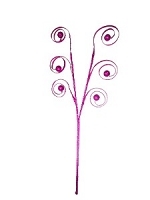 It has also been UV stabilized making it a great outdoor decoration as well. It has been made with PVC material. The ratio of it is 8' of material for every 1' of finished garland. It has a 6"? diameter. This garland is sold in 25' sections.